Did you know that you can also make delicious drinks with our teas? In this article we are giving you the receipt for the sunset ice tea cocktail. Nice to prepare at home by yourself but also fun to make together in company, for example during a party. A real refreshing easyrider with ingredients like apple, hibiscus, pear, lemon and goji berry. Curious? 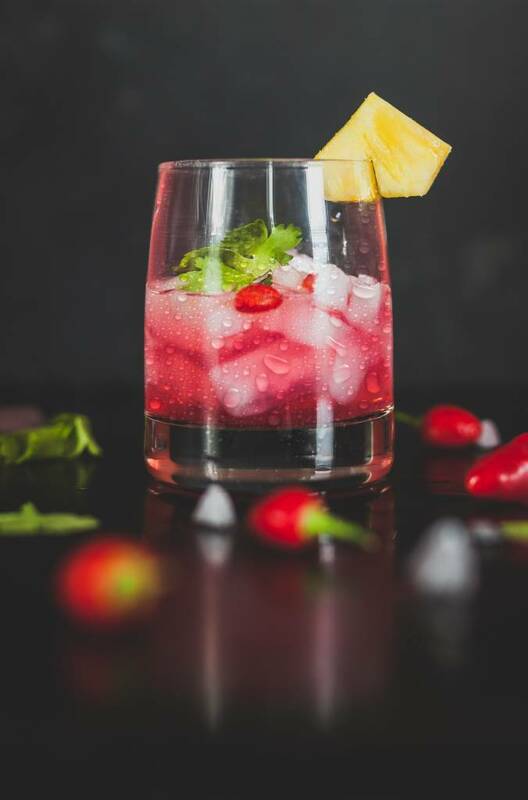 This is how you prepare this gorg cocktail. Prepare your tea tumbler with the Sunset tea blend and let it soak overnight. Pour 1 / 3th of the cold tea in a cold glass, which you can drink directly. Afterwards you add 1 / 4 th of the Vodka to the Sunset tea blend into the tea infuser bottle. Add fresh mint and strawberries as much as you like. Shake it for a moment and your cocktail is ready!